There will also be time for open Q&A for any questions or issues you may have with your social media. Provide variety – appeal to a variety of clients and offer different items. Impulse buys – Just because your products are outside does not mean you need to discount them. Seeing a product out front may create an impulse buy for a consumer and won’t realize it is not on sale. Work with your neighbors – talk with other businesses on your block and all decide what day(s) are best to hold sidewalk sales – then promote collaboratively! Prop your doors open – This encourages browsers to come inside. Signage – Don’t want to put your product outside? Just get a sign to prop up outside with a call to action written on it. New sale? New product? Put it on a sign to catch the eye of passersby. Sidewalk sales are great for businesses who may not fully know what is in your store. Have staff available to stay outside with your product or at least able to keep an eye on the outside. Oh, you help established businesses too? Is your business looking for new ways to marketing your product, expand or maintain sales? Contact us today to schedule an appointment. The Social Media Examiner recently released their Marketing Industry Report for 2018. Here’s some findings small businesses can incorporate into their marketing mix. 87% of all marketers indicated that their social media efforts have generated more exposure for their businesses. Increased traffic was the second major benefit, with 78% reporting positive results. The ad platform most used by marketers is Facebook (72%), followed by Instagram (31%). Last year I wrote a post about the trends and tips we would probably see for 2017. Wow, I can’t believe it’s been a year already! Now’s time to update that list for 2018! Filters/Augmented Reality – You’ve already seen videos and pictures with filters on them changing your looks and voice. But how should you incorporate it into your business? Have your customers promote your business with a specific filter by taking a selfie in your store or with your product. Some individuals may be more willing to post a video about your product if they are behind a filter that changes their voice or face. SnapChat and Instagram are beginning to allow brands to create their own filters (they are costly now). Instagram Stories – While I shared this last year as a new trend, this is another aspect of social media that is growing quickly. But why? It’s a quick video or picture that your brand can share which goes away in 24 hours. Stories are at the top of your Instagram app so users do not have to scroll through lots of pictures until they see your brand. Your business can utilize it to share a special deal, showcase a product, or show off a day in the life of your operation. Use your Story to create a sense of urgency. Focus on Generation Z – This population is just starting the workforce and are gaining in purchasing power. According to RetailDive, Generation Z individuals are very influenced by social media and not as much about price. In marketing and communication, Gen Z wants videos, short content, and the ability to interact with businesses through Facebook Messenger or WeChat. Engagement – Customers want to share their experiences with a product or service. Engaged with your customers by thanking them for a review, create opportunities to interact with them through questions or live video, and offer ways for customer input. Make time each week for social media marketing. It’s crucial for the growth and success of your business. 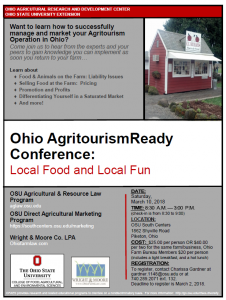 Want to learn how to successfully manage and market your Agritourism Operation in Ohio? Come join us on March 10 at the OSU South Centers to hear from the experts and your peers to gain knowledge you can implement as soon you return to your farm. There are two job postings we wanted to share. The first is a full time Program Assistant position at The OSU South Centers. This position will provide a broad range of basic to complex office support services relating to document preparation, workshop preparation, reception and work flow; edits newsletters, proposals, and manuscripts. Interested individuals should log onto: https://www.jobsatosu.com/postings/83970 and apply before January 28th. Detail tracking – Whether it’s customers, sales, or inventory, these details help run your operations smoothly. Planning – Keeping good records helps anticipate seasonality of your business. You can run a sale this March to get customers in the door if you know last March was slow. Tax Prep – There’s no need to scramble around at the last minute to get your tax paperwork in order. Maintain those records that you know you’ll have to report quarterly or annually for federal, state and local requirements. Legal Compliance – Having a good record system of your contacts, leases, agreements with suppliers, licenses, permits and insurance just allows your business to run seamlessly. If a problem arises, you’ll be able to show the documents necessary to keep everything on the up and up. Payroll and Personnel – If you have employees, there are numerous records you are required to keep – even after your employee leaves your business. If you already keep good records for your business, great! Keep it up! If you are not up to par, don’t stress! Start this year fresh and then build upon that. 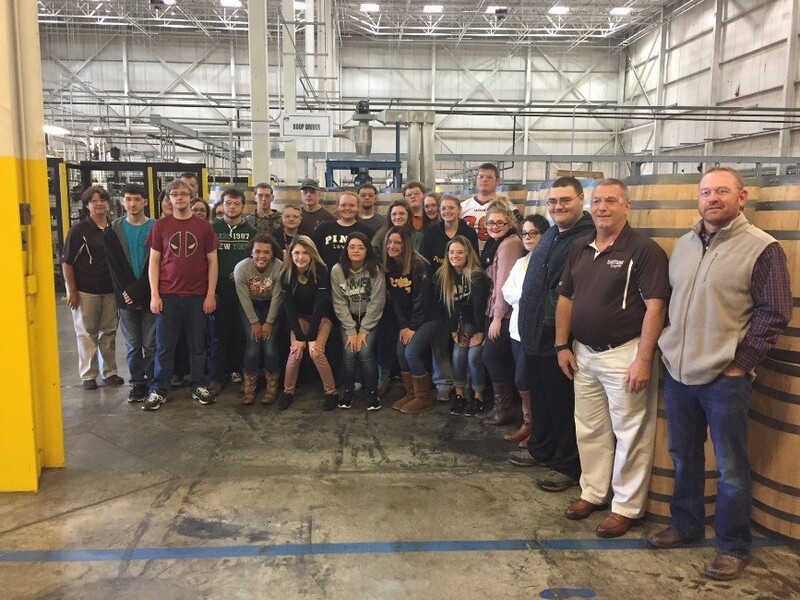 To showcase October’s National Manufacturing Month, local high school seniors along with staff members from the OSU South Centers Business Development Network, recently, toured the Speyside Bourbon Cooperage, Inc. manufacturing facility in Jackson, Ohio. 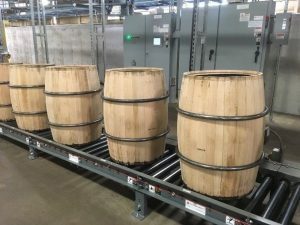 Speyside produces barrels for bourbon distilleries across the United States. While the company has been in business since 1947, they began production at the Jackson facility in 2016. Much of the raw materials used to produce the barrels comes within a 30-mile radius of Jackson. 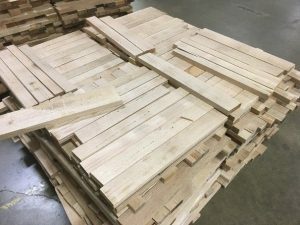 The tour highlighted the process of converting the raw materials into barrels through CNC machining and modern manufacturing. National Manufacturing Month helps highlight the value of manufacturing to the economy and the opportunity for available and highly-skilled careers. Eastern High School Seniors from Pike County participated in the tour to highlight local careers available in the manufacturing industry after graduation. “Not only did these students get to tour a manufacturing facility in the region, they also learned career opportunities in manufacturing as well as some required skills needed to enter the workforce.” Mick Whitt, Manufacturing Specialist with the OSU South Centers stated during the tour. This tour also kicked off a new collaboration for the Southeastern Ohio Region. 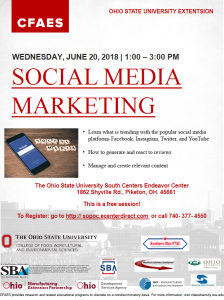 The Manufacturing Extension Partnership (MEP) for 22 southern and southeastern counties will be housed at the OSU South Centers Endeavor Center in conjunction with the Ohio State University’s Center for Design and Manufacturing Excellence. The MEP program will focus on providing value-added manufacturing consulting services to manufacturers throughout the region. Some services include business development, new product innovation, supply chain development, and strategic growth planning. Additional tours partnering high school students with manufacturers in the Southeastern Ohio Region are being planned throughout the coming year.